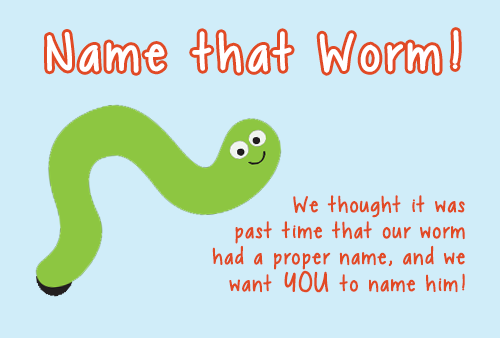 We Want YOU to Name our Worm! We thought it was past time that our worm had a proper name, and we’re turning to YOU to decide what it should be! Suggest your names by clicking here to enter your name suggestion now. Suggestions will be received through May 20th. Please be as creative as you like! In the words of the great Dr. Seuss: “So… be your name Buxbaum or Bixby or Bray or Mordecai Ali Van Allen O’Shea, you’re off to Great Places! Today is your day!” Our worm needs a name! So get on your way! Written by: Different Roads to Learning on May 16, 2014.